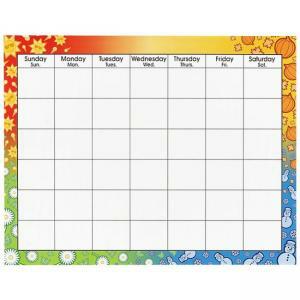 Large reusable wipe-off unruled calendar is trimmed with seasonal symbols. Invites dozens of uses. 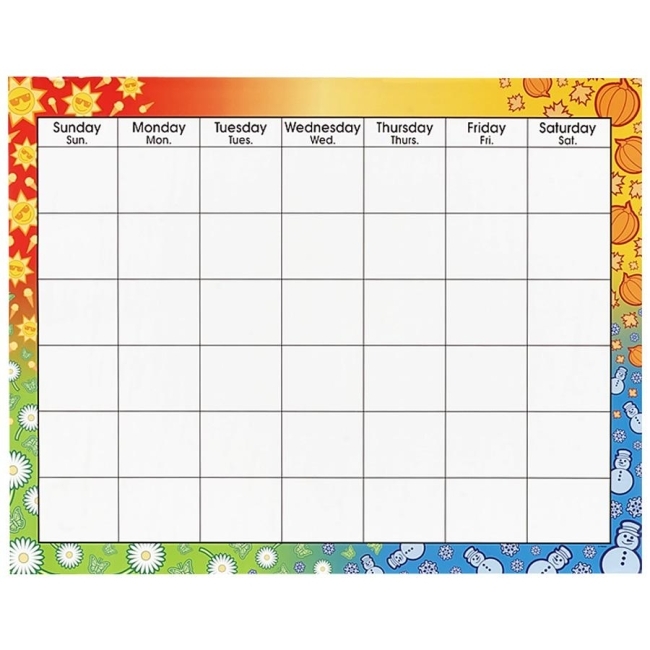 Monthly wipe-off calendar offers year-round activity suggestions on back. Ideal for prekindergarten to ninth-grade (ages 3 to 15).